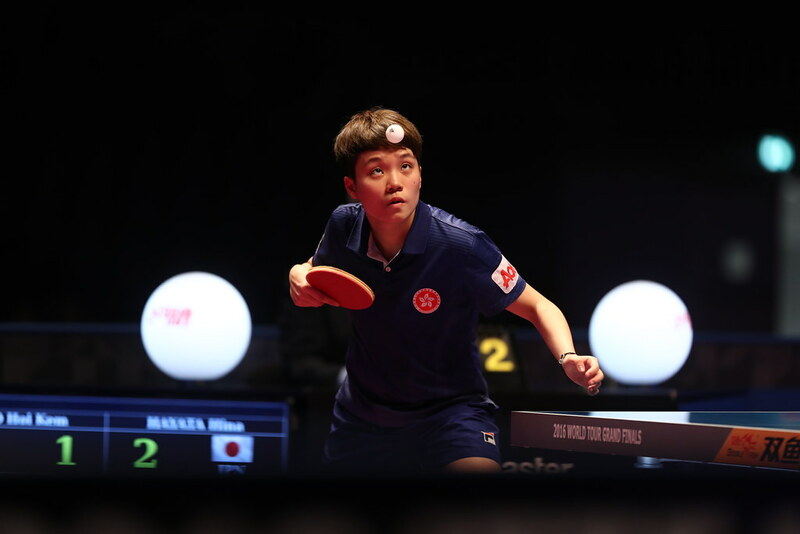 A place in the forthcoming Liebherr Men’s World Cup, to be staged later in the year in the Belgian city of Liège at stake; Russia’s Alexander Shibaev, who had only gained a main draw place of the 2017 ITTF-Europe Top 16 Cup in Antibes by the very narrowest of margins, made the most of the opportunity on the evening of Saturday 4th February. The no.15 seed, he beat Portugal’s Tiago Apolonia, the no.7 seed, in a full distance seven games encounter (11-5, 5-11, 9-11, 11-8, 11-5, 10-12, 11-5) to reserve his place in the last four. Theoretically, the win does not guarantee Alexander Shibaev a place in Liège, the players finishing in the top three places qualify; however when all the continental qualification tournaments have concluded and world ranking is considered, past years suggest that the fourth placed player is odds on to receive an invitation. Success but it was almost a success that did not happen. One day earlier, as matters concluded in the group stage of affairs, Alexander Shibaev needed to beat Portugal’s Marcos Freitas, the no.4 seed, to secure second position in his group behind Croatia’s Andrej Gacina, the no.9 seed, and thus a main draw place. He succeeded but only just; he emerged successful by the minimal two point margin in the deciding fifth game (11-8, 8-11, 9-11, 13-11, 13-11); he was a net, edge, wonder stroke or unforced error away from being a tourist. At the semi-final stage, Alexander Shibaev meets Frenchman Simon Gauzy, the no.5 seed, who earlier in the day beat Germany’s Timo Boll, the no.3 seed (11-8, 3-11, 4-11, 11-7, 11-8, 11-7). Meanwhile, in the opposite half of the draw Germany’s Dimitrij Ovtcharov, the top seed and defending champion, confronts Ukraine’s Kou Lei, the no.13 seed and like Alexander Shibaev a surprise semi-finalist. Kou Lei, beaten by Tiago Apolonia in his opening group stage match one day earlier (8-11, 11-7, 11-9, 9-11, 11-7), has advanced from strength to strength; notably in the round of the last eight he accounted for Andrej Gacina (11-7, 11-7, 6-11, 9-11, 11-9, 8-11, 11-6). However, if there is a player who is advanced from strength to strength it is Dimitrij Ovtcharov; in his quarter-final encounter he overcame Austria’s Stefan Fegerl, the no.6 seed, in four straight games (11-4, 11-8, 11-5, 11-9). Places in the respective Men’s World Cup and Women’s World Cup a major goal; history shows that a fifth or sixth place finish could also sufficient to gain an invitation. Thus the play-off matches are vital; as matters concluded on the penultimate day of action in Antibes tension was high. In the contests to determine places five to eight; in the Women’s Singles event Hungary’s Georgina Pota beat Sweden’s Matilda Ekholm (11-7, 11-9, 10-12, 9-11, 11-9, 9-11, 11-6), Romania’s Bernadette Szocs defeated colleague Daniela Monteiro Dodean (11-8, 4-11, 9-11, 6-11, 11-9, 11-8, 12-10). In the Men’s position five to eight matches Timo Boll beat Tiago Apolonia (11-9, 8-11, 11-9, 11-4, 15-13), Andrej Gacina overcame Stefan Fegerl (11-9, 6-11, 11-6, 11-8, 6-11, 8-11, 11-7). Play concludes on Sunday 5th February.